SKU: 0.435.00. Categories: Infant & Toddler, Posting, Sorting. 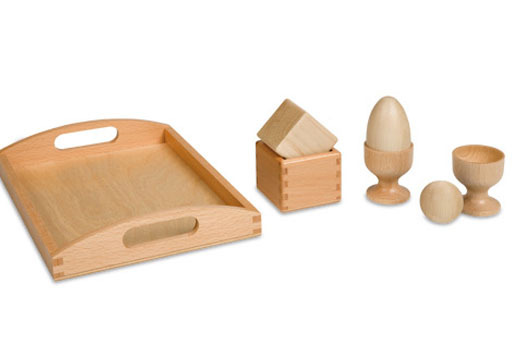 By eight or nine months, an infant can explore putting a wooden egg in a cup and taking it out again. Putting a ball in a cup is a new experience, because the child has to turn over the cup to remove the ball. 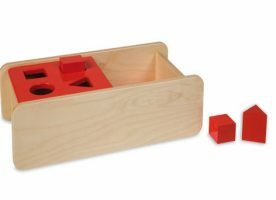 Putting a cube in a box is even more challenging because it is necessary to line up the corners of the box and cube for success. These activities enhance hand-eye coordination and give the infant an opportunity for his two hands to work together in a meaningful way. 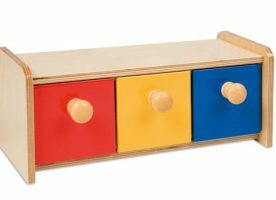 Includes: 2 cups, 1 egg, 1 ball, 1 cube and 1 tray for material presentation and storage.